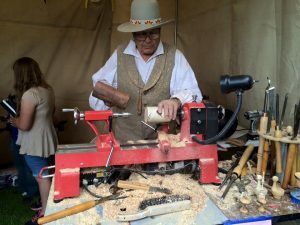 The Ephraim Square will be bringing back the Olde Crafter’s Village, and art for kids. 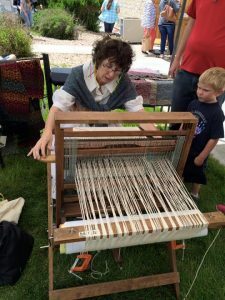 We have a blacksmith, wood worker, Swedish rug weaving, soap maker, doll carver, artists demonstrating bobbin lace, tatting, harbinger, black work, crocheting, knitting, and a yarn spinner. New this year is a bread maker and a brave fellow that is going to get the kids involved in making butter!! The crafters that will be involving the kids will charge a small fee for the items they make. They will also be selling items that they have made. The Art Center will have a huge booth with lots of kids art activities. The annual quilt show will be upstairs, and the Co-op will be open with a yummy taster’s table and lots of Scandinavian items. We have flags, Viking hats, collector’s items, flower headbands, aebleskiver pans, ornaments, Danish peppernuts, Swedish Bratzlies, Lingonberry jam (very hard to get!) and the Co-op’s famous fudge . The quilt show will be held Friday and Saturday from 10am -6pm, and the Crafter’s village and taster’s table will be held Saturday only from 9am-6pm.